WARNING: WE'RE NOT FAZE CLAN WHO'S PLAYING ON CALL OF DUTY! 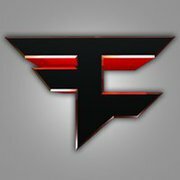 Welcome on the official website of FaZe Clan. We're playing on the Online game BeGone. Our clan has got only good BeGone players. Currently we got 6 Members in our clan. If you want to join our clan you can contact us by this website. U can show your skills in-game and maybe we let you play in FaZe Clan! Want more info or just wanna join? Contact us or e-mail us at info@fazeclanbegone.tk.